Quick and easy lemon meringue pie recipe from scratch, homemade with simple ingredients. 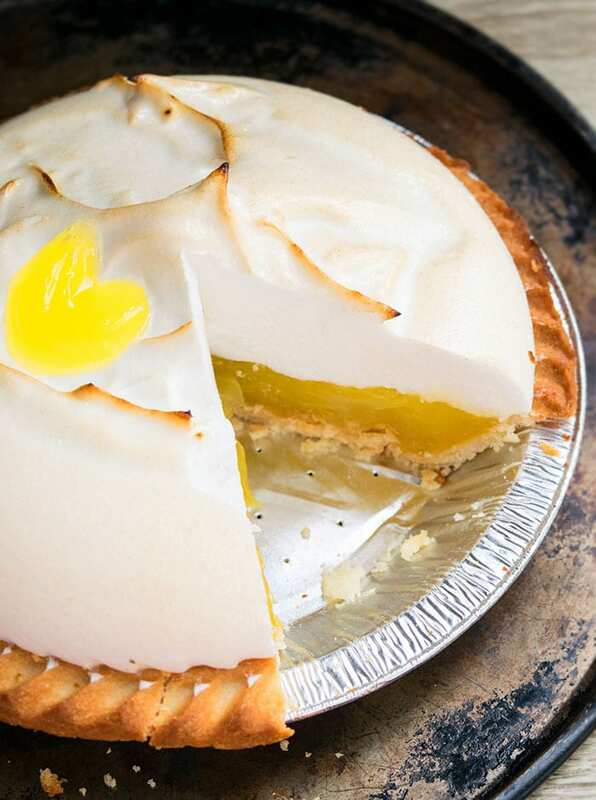 A butter pie crust, topped off with lemon curd, meringue topping. Bake the pie crust, according to package instructions until golden brown. Then, allow it to cool down completely. Without turning on the heat, place a nonstick saucepan on the stove. Add water and cornstarch and whisk them together until fully dissolved. In another mixing bowl, whisk together the egg yolks. Now, temper the egg yolks. This has to be done properly or else the mixture will become lumpy. Pour 5-6 spoonfuls of the lemon mixture slowly in the bowl of beaten egg yolks, while constantly whisking. Increase the heat to “medium.” Then, add this egg mixture back into the saucepan, while constantly whisking. Continue cooking until mixture becomes smooth, thick and very bubbly. Remove saucepan from heat and mix in the butter. Pour filling in the baked pie crust. Keep aside. Don’t chill yet. Make the meringue now. In a mixing bowl, add egg whites, cream of tartar, cornstarch and beat them until “soft peaks” form. Then, add sugar and continue mixing until “stiff peaks” form. Spread this meringue on top of the lemon filling. Use the back of a spoon to make rustic peaks. 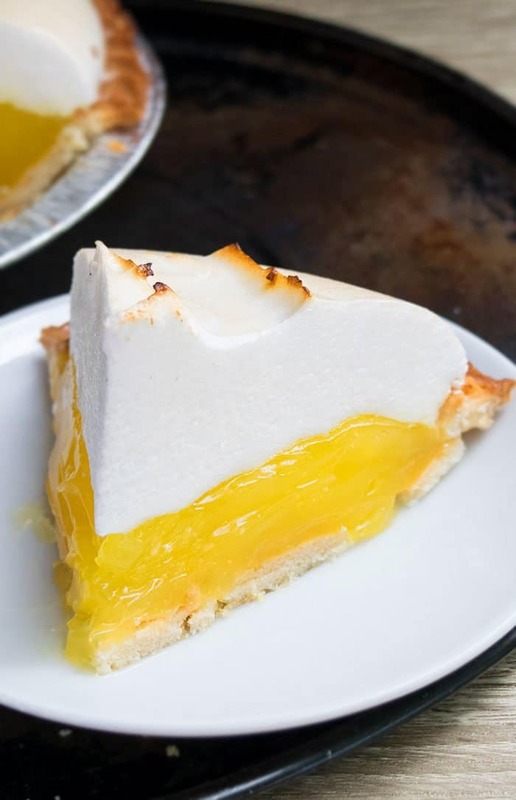 Make sure to spread the meringue to the edges so that it’s touching the crust because that seals the two layers together and prevents “weeping” and shrinking away while baking. Bake at 350 degrees for about 10-15 minutes or until the meringue is browned. Allow the pie to cool down to room temperature. Chill in the fridge for at least 6 hours for all the layers to firm up. Enjoy! Tastes best when served on the first day but leftovers can be stored in a sealed container in the fridge for up to 2 days. 0 Response to "EASY LEMON MERINGUE PIE"